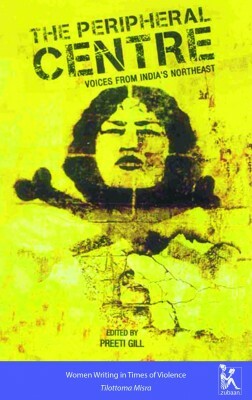 Our previous sets of e-Essays focused on Indian women's movements, sexual violence, domestic space and kinship, religion and conflict, state crimes and impunity, trauma, health, violence against women, and nation. The essays in this set study women’s writing in historical context, and the ways in which it fashions discourse. 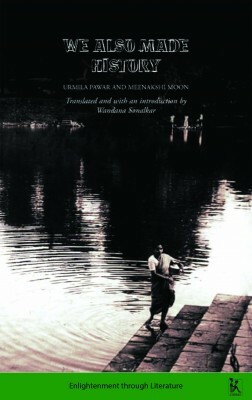 Authors Meenakshi Moon and Urmila Pawar focus on Dalit women’s voices in the rich literary tradition of the mid-twentieth century; while Uma Chakravarti looks specifically at writing about widowhood, both personal and critical; and Tilottoma Misra’s work showcases Assamese women, detailing the subjective experience of violence through poetry and prose. Together the pieces offer an alternative understanding of how notions of ‘literature’ come to be, through specificities of theme, language, politics and law. This essay examines women’s writing in the 19th century on the oppression of widows, focusing on voices that writer Uma Chakravarti believes have been invisibilized over the years. Stating that the history of social reforms and widowhood has been predominantly understood from a knowledge-based male perspective, Chakravarti proposes balancing the discourse with several female perspectives based on experiencing widowhood first-hand. 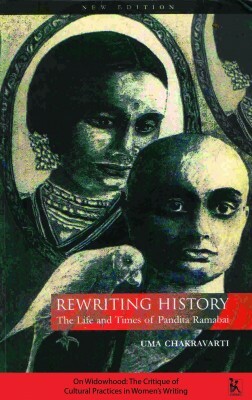 The essay is divided into three parts: the first focuses on women’s works on widowhood, examining the writing of Sushila Devi, Tarabai Shinde and Rakhmabai. The second section looks at widows from Poona Widows’ Home writing about their own experiences, and the third at writers like Pandita Ramabai and Parvati Athavale who were actively involved in providing support to other widows. 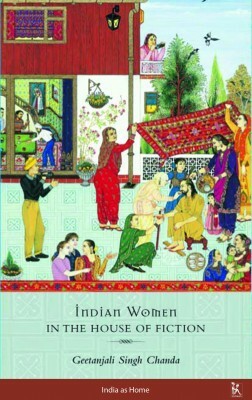 From scathing criticism to personal experiences, the works criticize the then existing male-dominant Reformist movement, which focused only on widow remarriage, and outline the problems faced by widows, such as deprivation of basic needs like food, clothing and shelter, and the enforcement of unpaid and unacknowledged labour. 54 pp. Read more. This essay is a historical overview of Dalit literature, focusing on the contribution of women writers. The authors Urmila Pawar and Meenakshi Moon show how the Dalit movement gained momentum with the rise of Dalit centric newspapers and literary societies, which gave a voice to the Dalit people. Led by Babasaheb Ambedkar, this literary movement was strengthened through talks, discussions, analysis of folk songs, and by spreading literacy and encouraging research. By the 1960s, Dalit writers had created a huge collection of short stories, poems, novels, autobiographies and analytical pieces. The authors focus on the gradual increase of female voices and perspectives in Dalit writing – on topics ranging from religious customs like funerary rites, birth control, to mixed marriages. Appreciating these works for their literary merits as well as social significance, the authors suggest that they helped people understand and appreciate their own history, and facilitated the spread of radical ideas of identity and self-worth. 12 pp. Read more. Meenakshi Moon was a close associate of B. R. Ambedkar. Her essays, research papers, articles study the daily religious practices and marital rules of Dalit communities, the practice of ritual prostitution, women’s issues and the Dalit movement. Urmila Pawar received an MA from the University of Bombay and worked in the Maharashatra department of labour welfare. A former actor of radical Marathi theatre, she writes non-fiction and short stories informed by her self-definition as a Dalit, Buddhist and a feminist. Wandana Sonalkar (translator) teaches economics at Dr. Babasaheb Marathwada University, Aurangabad. She is a founding member of Aalochana Centre for Documentation and Research on Women. This essay uncovers how the writings of women have emerged as forms of protest in Assam, a region torn by political violence and prolonged militancy. For Tilottoma Misra, these voices are doing more than simply responding to a need to represent the marginalised; they are attempting to depict the trauma that the women experience in their lives. In discussing the power of the narrative, Misra lays out those aspects of traumatic events that a literary discourse can grasp more expansively than a strictly historical narrative. Written by women during times of conflict, these stories and poems help explore nuances of the ways in which one's psyche is affected by the conflict. With a population facing discoveries of mass graves and an increasing breakdown of basic civic amenities, Misra poses urgent questions as to the role of the writer in such difficult times. 25 pp. Read more. Tilottoma Misra is an academic and author. She formerly taught English Literature at Indaprastha College, New Delhi and Dibrugarh University, Assam. She was awarded the Ishan Puraskar by the Bharatiya Bhasha Parishad for her novel Swarnalata. Currently, she is writing on literature and society of eastern India and is engaged in a research project on customary law and women’s rights in Northeast India. What an excellent initiative. Great to have access to these essays - thank you.